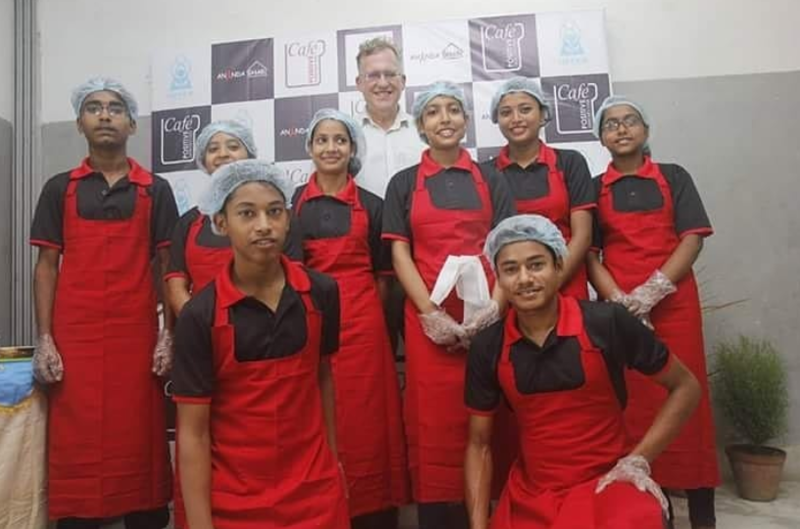 Here’s some good news for your weekend: Cafe Positive, a cafe run by 10 HIV-positive teenagers, has finally opened in Kolkata, India. Due to the stigma surrounding HIVs, this project faced more than its fair share of obstacles, but the teens have succeeded in turning their dreams into a reality. After being abandoned by their families as children when they were diagnosed with HIV, the teenagers were taken in by an organization called Offer. The NGO provided them with shelter, education, and professional training to prepare them for adulthood. Now the HIV-positive youth have the opportunity to take their skills and start their own business. Cafe Positive will be entirely owned and managed by the teenagers. However, executing the dream of opening a cafe proved to be difficult due to the negative misconceptions of HIVs and HIV-positive people. For example, it took over six months for the group to find a suitable space for the cafe as they faced rejection after rejection when building owners learned about the medical conditions of the teenagers. Owners would learn about the project and then distance themselves, often citing “problems to be caused by the neighbourhood and the families”. Despite these setbacks, the team persisted and finally found a space in Jodhpur Park. Indrajyoti Dasgupta, an honorary member of the Rotary Club of Kolkata, generously offered up his garage after hearing about the business initiative and their struggle to find an appropriate place to start their cafe. As a result, Cafe Positive recently opened their doors to customers on July 14, 2018. The HIV-positive youths are responsible for maintaining accounts, serving customers, and cleaning tables while hired cooks and kitchen staff prepare food. The kitchen has glass walls so that patrons will be able to see how meals are being prepared. Furthermore, only disposable plates and cutlery will be used. The cafe also aspires to be a hub for budding musicians as it will hosts gigs for the community. All while educating customers on HIVs and eliminating the stigma, Cafe Positive and its staff have a lot to look forward to as their success carries on.